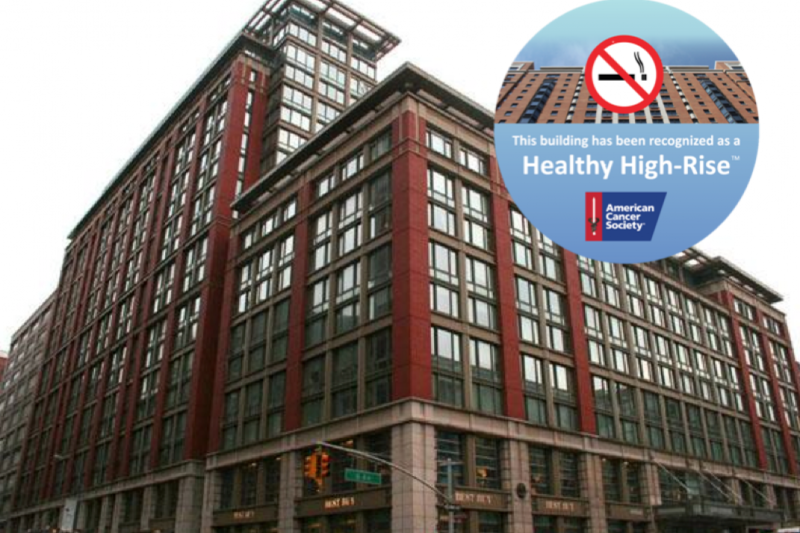 We've covered smoke-free buildings on BrickUnderground before--even compiling our own list of NYC apartment buildings that have totally banned smoking--so the new "Healthy High-Rise Program" from the American Cancer Society caught our eye. Through the program, high-rise hunters will be able to tell at a glance if the building they’re considering living in is 100% smoke-free. In addition to bragging rights, buildings that meet the criteria are given a Healthy High-Rises decal for display in the front window. According to the American Cancer Society, smoke-free housing has become an increasing trend in the real estate industry (a trend we can confirm). The 14 buildings below are slated to be the first recipients of the Healthy High-Rises designation. All but the first one are rentals. The Atrium East, 153 E. 32nd St.
Falcon Tower, 245 E. 44th St.
New York Plaza, Two Water St.
New York Tower, 330 E. 39th St. The Caroline, 60 W. 23rd St.
Tower 67, 145 W. 67th St.
For more buildings that have banned smoking, check out our previous post on the topic. 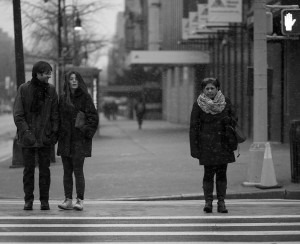 You can also search StreetEasy.com for "non-smoking" or "smoke-free" rentals, and "non-smoking" or "smoke-free" co-ops/condos. Interested in turning your rental, co-op or condo building into a smoke-free zone? SmokeFreeHousingNY.org has some helpful dguides on how to go to about it.